An Otobus, one of the main forms of transportation in Turkey, is essentially a city bus. This oversized, streamlined bus packs a lot of power – but oddly enough, carries only a run of the mill, heavy duty stock alternator. 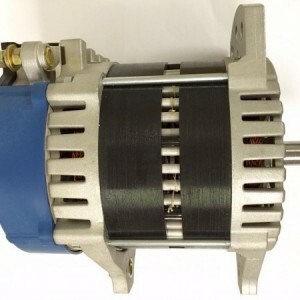 The most common Otobus vehicle alternator is a standard, 24-volt, 120to 140-Ampere alternator. Similar to a city bus found in the United States, the Otobus sits at idle for long periods of time, needs to satisfy a large electrical load at idle, and performs essentially the same functions. The stock, heavy duty alternator found in the Otobus forces the vehicle into high-output, high-RPM mode. An Eco-Tech alternator satisfies the same electrical load and more, while providing you with high output and low RPM. Designed with special magnets, this environmentally friendly alternator can save you money not only on wear and tear, but in other ways. An alternator that is forced day after day to provide high output at high RPM eventually will wear out the motor much more quickly than a low RPM alternator. Not to mention, the alternator itself will wear out more quickly and need to be replaced. Additionally, the battery cannot handle the spikes and surges from a stock alternator. Installing an Eco-Tech replacement also cancels the need to install special equipment. 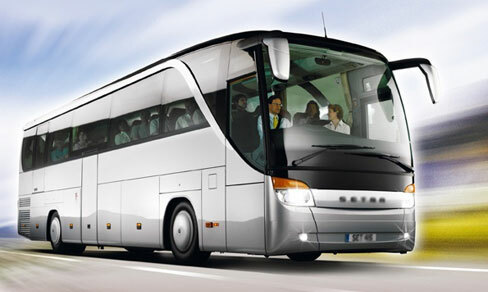 Many bus owners, to satisfy the huge electrical load needed at idle, install high idle or load shedding devices. With an Eco-Tech alternator, it is not necessary. An Eco-Tech alternator can provide 260 Amperes of power, at merely 1,800 RPM. Beyond the cost of wear and tear and special equipment, using an Eco-Tech model as an Otokar vehicle alternator also saves you on gas. This type of alternator maximizes fuel efficiency and reduces engine drag by 50 percent. The savings in fuel alone should be enough to compel you to switch out your old Otobus vehicle alternator, in favor of an Eco-Tech model.